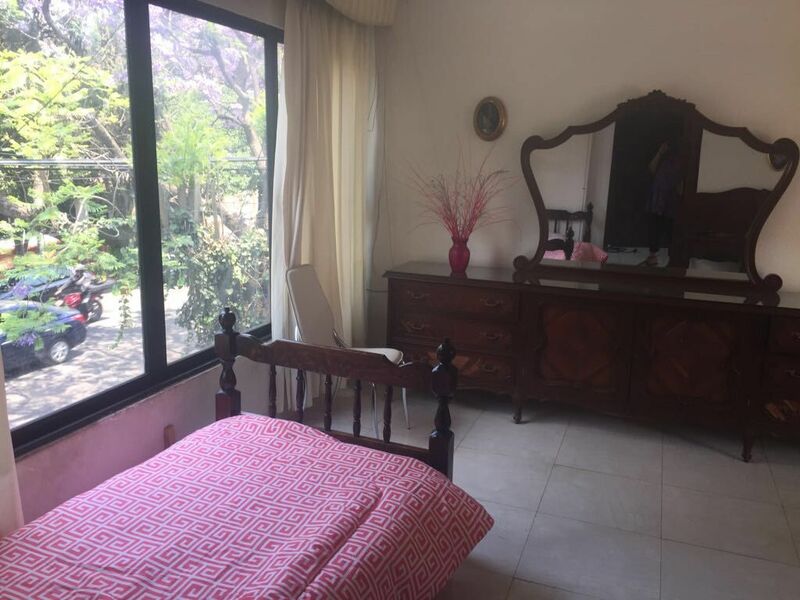 One bedroom available inside house located in the heart of Coyoacán a couple of blocks away from the Frida Kahlo Museum. The bedroom is located in the upper floor of the house, has a terrace with a garden view, two bedrooms, a sofa bed, and a private bathroom. The kitchen in the house is shared and can be used by the guests to prepare their meals. The house welcomes guests from around the world and we more rooms in the house available. Ask us about group bookings if you have any questions.